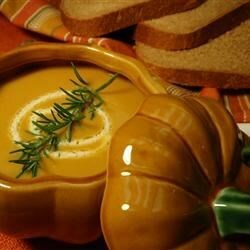 "Great use for all that early fall vegetable! Nice start for a fall day dinner or lunch." In a blender or food processor, puree the soup mixture until smooth. Return to the pot, and stir in the heavy cream. Heat through, but do not boil. Serve warm with a dash of nutmeg.